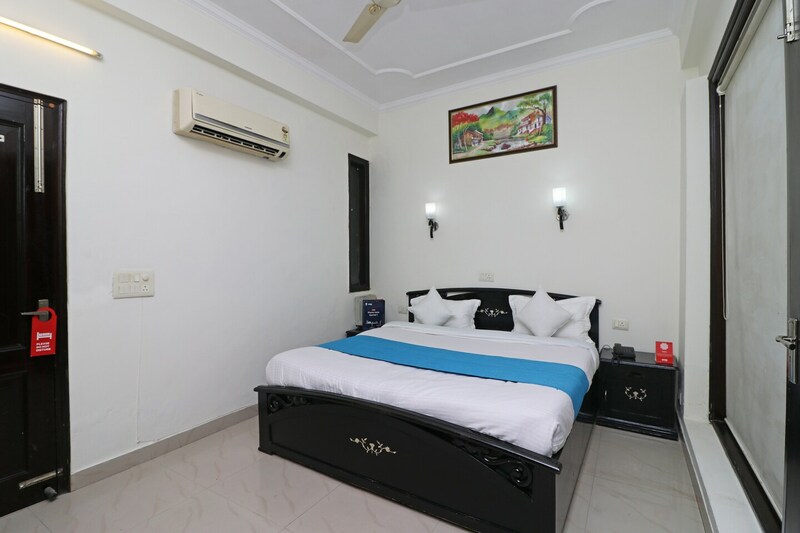 A budget friendly hotel near Kingdom of Dreams. Unitech Cyber Park, a modern and classy restaurant, is situated near The Pllazio Hotel Bus Stop, South City Bus Stop and Huda City Centre Metro Station. Leisure Valley Park and Kingdom of Dreams are also located nearby. The entrance of the hotel is adorned with beautiful potted plants and bamboo exterior decor. The rooms are provided with beautiful accent lighting. Free WiFi, TV and AC are provided for the comfort of the guests. Power backup and parking facility are also available. Crust N Cake and Mini'Z Kitchen are located at a walking distance from the hotel. Don't-Worry-Eat-Curry and Gyms Kook Xpress are also situated nearby.